Jim is an "Elite Professional" with the USPTA. 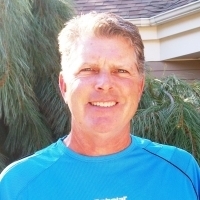 He has been the Director Of Tennis at Ocean Edge for 14 years. Jim played at Indiana University and held top ten rankings in New England open division competition. He has been a career pro and was voted USTA tournament director of the year. He has a passion for teaching and enjoys introducing new players to the game. He resides on Cape Cod and has four children. Jim is now a certified Pickleball instructor!